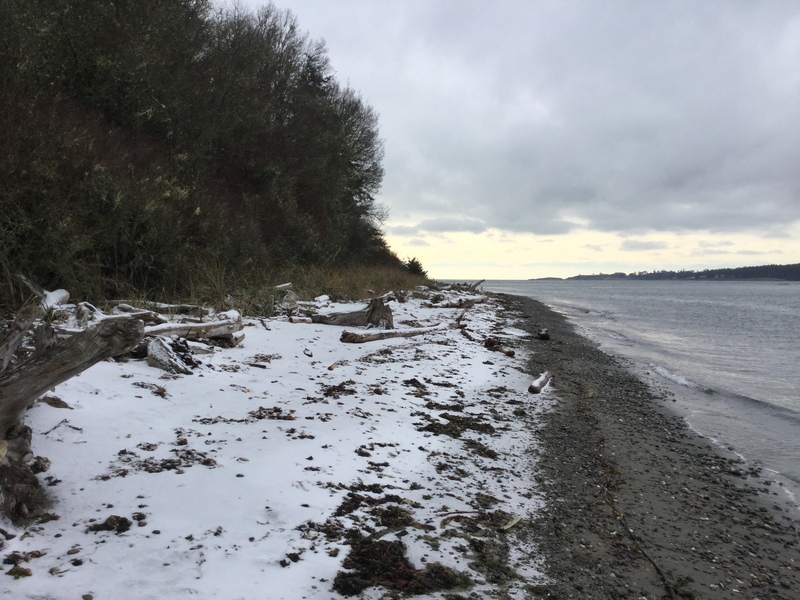 The Clure proposal states that it is “offering the public the opportunity to reach nearly two miles of secluded beach.” But beyond the boundaries of the Clure property’s approximately 230 feet of shoreline, the beach consists of public tidelands below the Mean High Water (MHW) line. 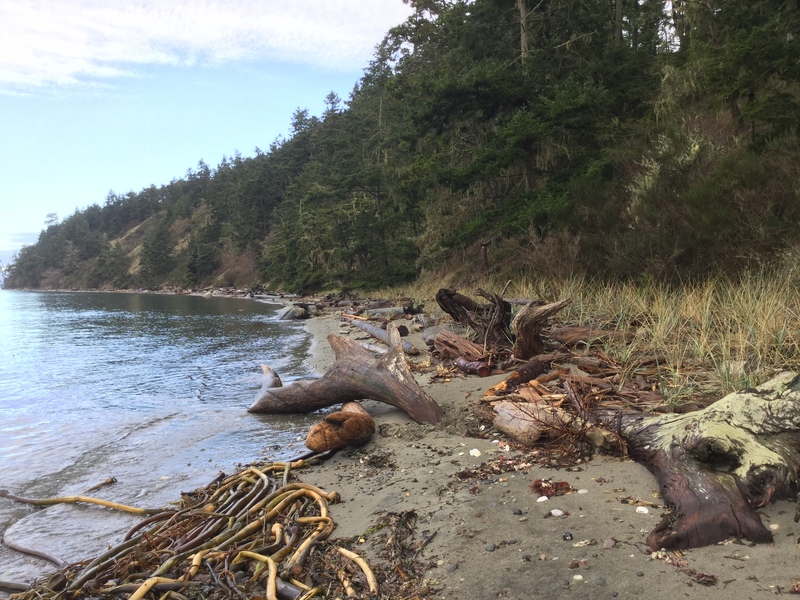 All the land above the Mean High Water line is private property, including most of the sandy areas and virtually all of the large beach logs. 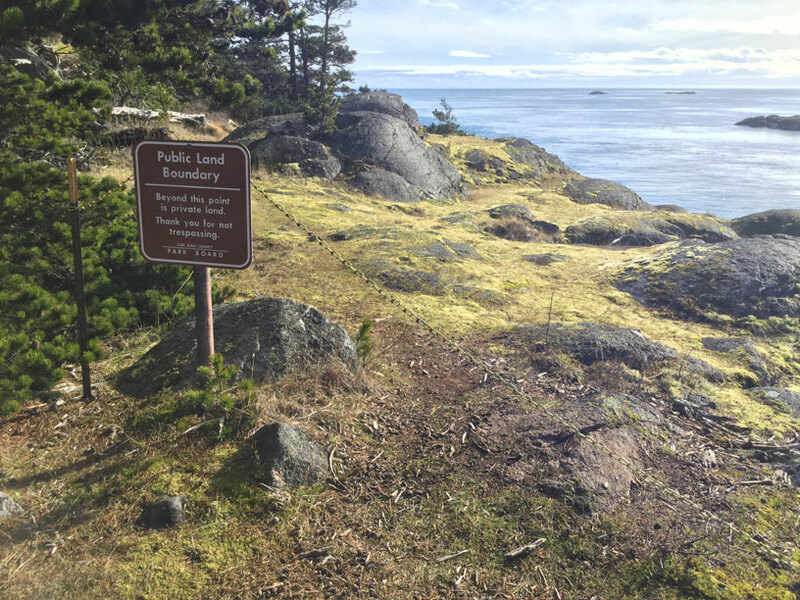 It is impossible to demarcate the boundary between the public tidelands and the private beach: any markers or signs erected on the beach would be swept away by the strong currents that pass by this part of the shoreline. 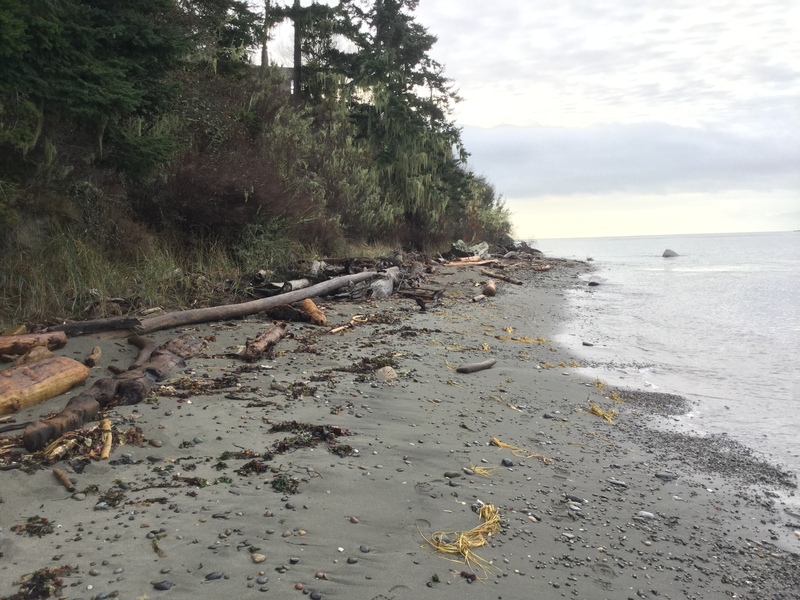 Visitors will seek to walk and sit on the most comfortable parts of the beach: the upper area of sand and logs, inevitably leading to trespassing on private lands. Our supporters have contacted the County surveyor, and they use the range of 7.1′ to 7.4′ when measuring the MHW. 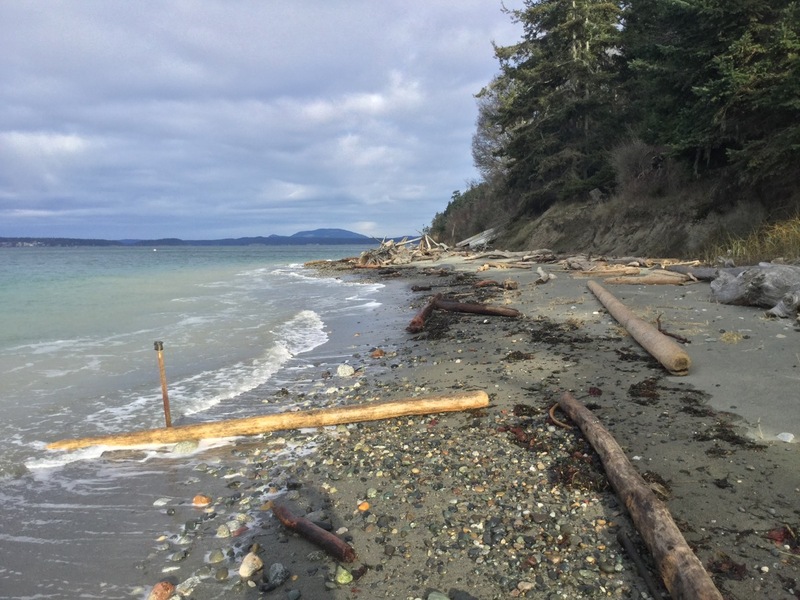 This means that when the tide is at or above approximately 7.4 feet, ALL of the public tidelands are under water. 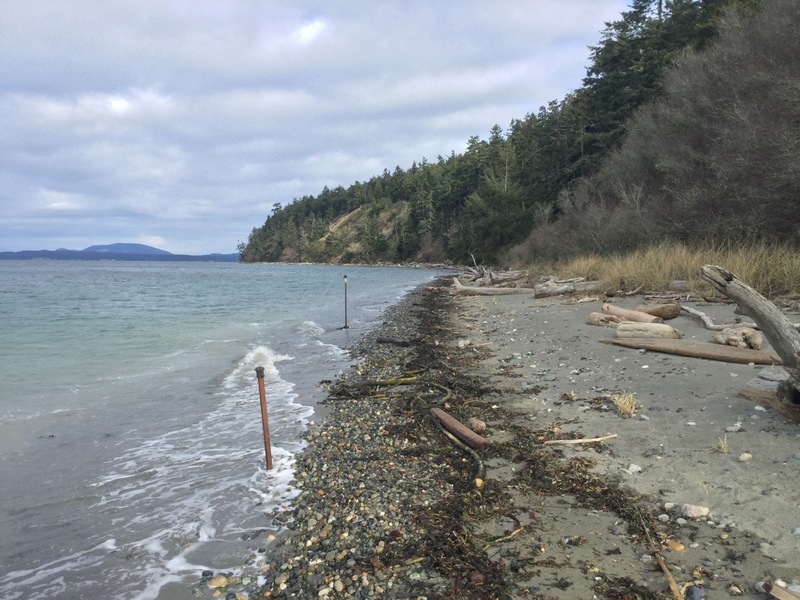 A resident of Eagle’s Roost Lane has measured the MHW line along the shoreline on either side of the Clure property and has determined that the MHT is located 24 – 37 feet seaward from the toe of the Bank. 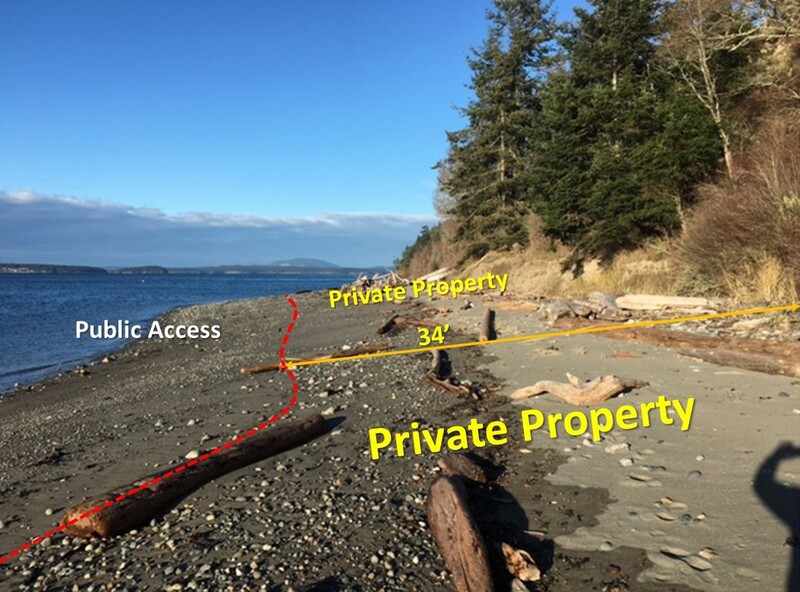 Thus, all of the beach between the “toe” (base) of the bank and the Mean High Water line (approximately 24 – 37 feet) is private. This photo is looking north at the surveyor’s SW corner stake (at the surveyed Mean High Water line) showing the Clure property’s southerly boundary where it adjoins the Bailey property. The surveyor was hired by the Land Bank. The MHW line is 34 feet seaward from the bluff. The MHW line ranges from a minimum of 24 feet to 40+ feet along the entire two mile beach. 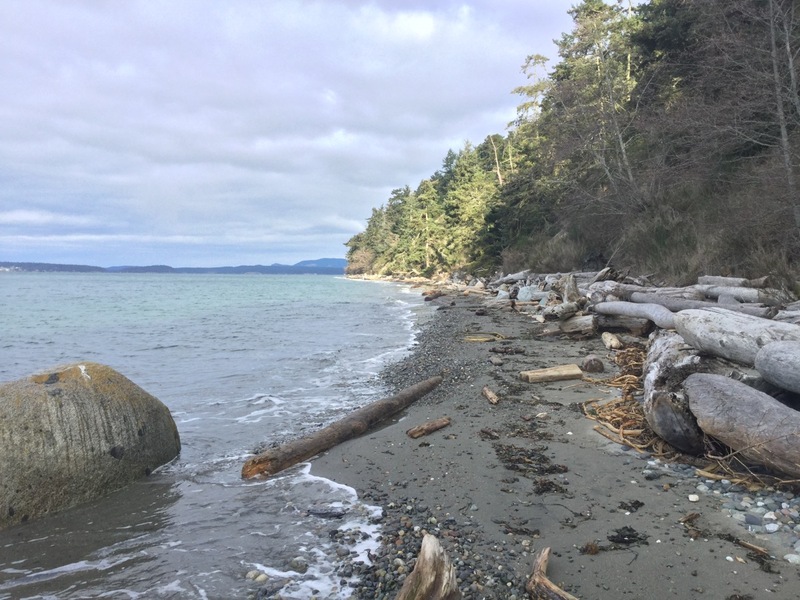 Surveys and pictures don’t lie: virtually all the sandy coves and driftwood are on private property. Looking north from Clure shoreline common area. Two marker posts show the corners of Parcels B (foreground) and Parcel A (background). Tide approximately 7.5 feet. January 6, 2017 11:50 am. Looking north along the Clure beach. Marker post at left foreground is the SW corner of the shoreline common area. Tide approximately 7.5 feet. January 6, 2017 11:50 am. 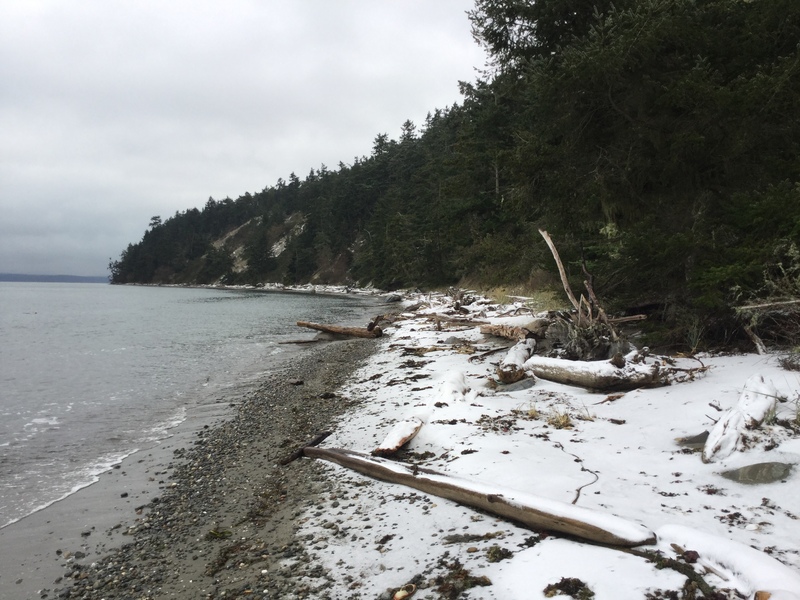 In the photos below, all of the beach is private land. Looking south from the Clure property. Tide is approximately 7.7 feet. December 19, 2016, 11:00 am. Looking north from the Clure property. Tide is approximately 7.7 feet. December 19, 2016, 11:00a.m. Looking south from the Clure property. Tide is approximately 7 feet. December 18, 2016, 10:30 a.m. Looking north from the Clure property. Tide is approximately 7 feet. December 18, 2016, 10:30 a.m.
And finally… do visitors respect signs? You be the judge. The following picture is of the south boundary of Shark Reef County Park.